Your credit score is important for getting a loan, so you might assume that your income is part of your credit score. After all, a higher salary means more money available each month to repay those loans. Your income does not directly affect your credit score, but it does affect your ability to get approved. Loan approval is based on several factors, including your earnings and your credit score, but those are separate pieces of the puzzle. 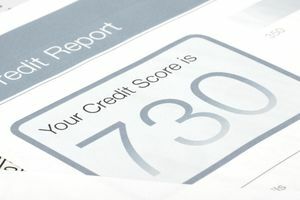 Information for scoring is available from credit bureaus, and it is mostly provided by lenders that you’ve borrowed from in the past (or lenders you’re currently borrowing from). Data also comes from collection agencies and public records databases. In addition to looking at your credit, lenders want to know about your income. They ask about it on most loan applications, and insufficient income is sometimes used as justification to deny a loan application. Lenders – but not credit scoring models – use information about your earnings in several different ways. Lenders want to know that you can afford to repay any new loans. In some cases, they’re required by law to document your ability to repay. One way they do this is to calculate a debt to income ratio. Your ratio looks at your monthly income compared to all of your debt payments – and any potential payments required on new loans. In general, you’re in decent shape if your debt to income ratios are below 28% to 31%. some lenders have their own scoring models for evaluating your loan, but those models are different from a credit score. Your income is one of the factors used in those models. But those scores are customized and vary from lender to lender. Your FICO credit score, which is a standard score often used for loans like home and auto loans, is more or less the same no matter where you go. Lenders can ask for other types of information on an application (or get the data another way), which goes into their scoring modes. As you can see, your income is an important factor in getting approved for a loan. Technically it’s not part of your standard credit score, but that might not matter if your main concern is getting approved.